“Everyone will soon be able to read it on their own,” Barr wrote in a letter to Republican and Democrat leaders in the House and Senate on Friday. The Justice Department head also stated he is prepared to testify before both the Senate and House Judiciary committees regarding Mueller’s findings on May 1st-2nd. Barr told lawmakers while President Trump could assert executive privilege on certain materials, the president intends to “defer to me” on such matters. He also said the Justice Department has no plans to provide the Mueller report to the White House. Meanwhile, top House Democrats have made repeated calls for the entire report to be made public. 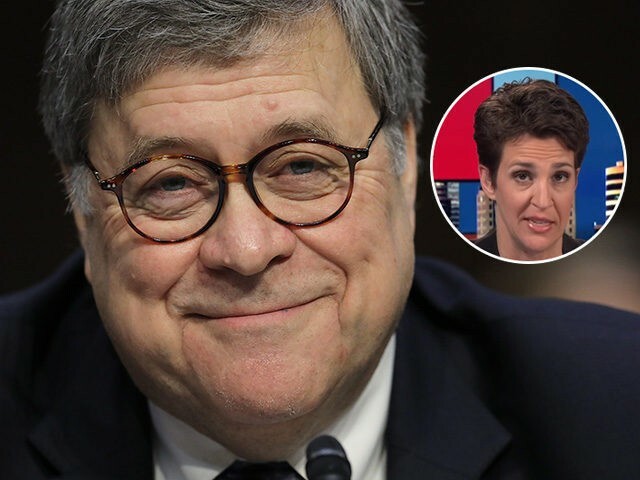 Appearing Wednesday on SiriusXM Progress channel’s Make It Plain, House Speaker Rep. Nancy Pelosi (D-CA) said it was “a little bit arrogant” of Barr to believe Democrats would accept only seeing his four-page summary of Mueller‘s report. House Intelligence Committee Republicans on Thursday called on Schiff to step down as chairman from the powerful panel, citing his consistent promotion of the “demonstrably false” Trump-Russia collision narrative.